As of yesterday, an email was sent out from LinkedIn announcing that Twitter updates will no longer automatically sync with LinkedIn accounts. What does this mean? It means that your Tweets will no longer be displayed on LinkedIn. Why, you ask? In a blog post by Ryan Roslansky, Head of Content Products at LinkedIn, wrote that as part of Twitter’s “evolving platform efforts,” tweets will no longer be displayed on LinkedIn. The change ends a two-and-a-half-year partnership between the two companies and marks a larger shift by Twitter away from third party applications. Previously, users could opt to have all tweets, or just those tagged with the hashtag #in or #li, flow directly onto their LinkedIn profile pages. 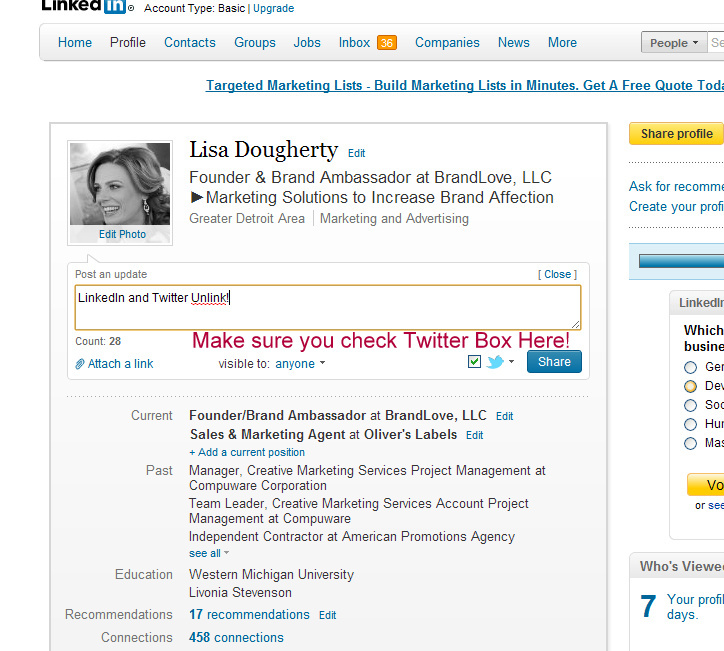 If you want to continue to share updates on both LinkedIn and Twitter, you’ll need to write your update on LinkedIn, check the box with the Twitter icon and click “share.” This will automatically push your update to both your LinkedIn connections and your Twitter followers just as before. If you need more information about what this means for your synced LinkedIn and Twitter accounts, visit LinkedIn’s Help Center topics. Also, if you like to schedule your updates using Hootsuite and TweetDeck, they make it super easy for you to integrate your Twitter feed into your LinkedIn status updates. 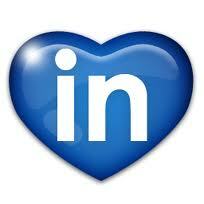 On a side note, I’m not really a fan of linking Twitter to LinkedIn. You’re dealing with two entirely different audiences, with different personalities, writing styles and lingo. On LinkedIn, you may have some important work-related intel to share with like-minded connections. While those in a directly related field may express interest, it will likely go over the heads of all those on Twitter. Twitter is designed to be more of a casual, conversational format. You may want to gain followers by posting a tweet intentionally designed to get a reaction. While random people may love it, your business contacts may get turned off by the “unprofessionalism” of your tweet. Remember, not everyone uses Twitter, so your colleagues on LinkedIn may not know how to read some of the special characters and abbreviations on Twitter. As always, feel free to connect with me on LinkedIn if we’re not already connected. I really gotta get more set up on linkedin. I have a profile, then just linked it to my blog and forgot about it.